Established prior to the Great War our company gave much needed employment to ex servicemen and was in those days called The British Legion Window Cleaning Company. The founder Henry Charles Gilley who died in 1943 left a well respected business which provided employment to his five sons who returned from the Second World War. The same high standards moved the company forward into other fields such as Health & Safety products and a number of other aspects of general cleaning. They were responsible for the introduction of the window cleaning squeegee which replaced the previously used chamois leather. 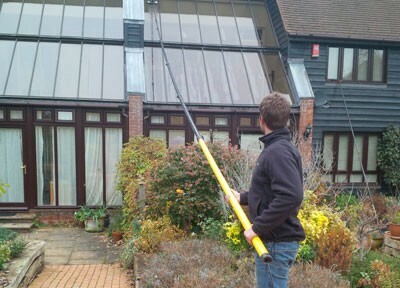 The company today is led by a second generation Gilley, we now use the most modern methods of window cleaning (such as the water fed pole) along side traditional methods. Highly professional staff, using state-of-the-art machines, continue to service old and new customers with a complete cleaning package.